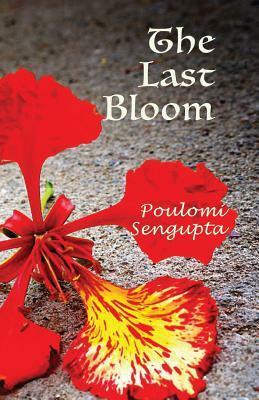 'The Last Bloom' is a story of Priya, her dreams, aspirations and struggles to fit into her new college life and its politics. Priya was ecstatic, as she was admitted to her dream college. All her visions of adventurous rock climbing trips, long night jollification with bosom friends, class bunking in lieu of movie shows, tasting lip smacking street side delicacies with classmates-a new exciting world would now unfold before her! But college is different from Priya's idyllic dreams. In an environment as opposed to that of school, exposed to an educational system, which is controlled by political unions, will naive Priya be able to survive without any political protection? Caught between the college hero Suvo's charming words and her acrid tussles with conceited college dropout Vivek, will immature Priya be able to differentiate between cajoling false comrades and brutally honest well-wishers? Often degraded by the skittish Shweta and saved by the blunt rebellious Aashi, will Priya be able to identify her friends and stand up for them, against fierce opposition? As Priya undertakes her journey of self-discovery, will she succumb to her deepseated fears and insecurities or will she survive the ultimate test of time? Poulomi Sengupta is an alumna of IIT Kharagpur. Presently working in Mumbai, she loves her share of kickboxing and a colourful dose of oil painting to brighten the apparently mundane life. First of all I would like to applaud author's attempt is trying to write about a subject which is not written about much and also highlighting the issues in our education system. The best part was I got to read the book just after my return from a trip to Kolkata. I had a lot of questions in mind during my 15 day stay there and to quite an extent the author did manage to give me some answers. My stay also helped me understand a lot of things in perspective when it came to description of quite a few places in the book by the author. Coming to the review I would like to highlight the pros and cons of the book according to me. Plot - I admire the author for talking about something so strong and politically applicable even now. It is a social cause we all need to notice and do something about it. Sadly it is not in any other country but India and the very thought that someone out there doesn't have the same opportunities as me despite being in the same country is alarming . Setting - West Bengal has always been a place where politics has overridden everything from prosperity to opportunities. Be it Tata's ouster from the state or the lack of jobs for the educated youth forcing them to migrate to other cities. The author has got her nerve right on the pain point making it all come alive in her story. Length - I remember a quote someone had told me during a workshop. Never say it in a thousand what you can say in hundred. And that is exactly where I have a problem with this book. It needs editing, there are a lot of unnecessary descriptions and scenes which can easily be deleted without hampering the over all plot. The book could have been much more crispier. Also not only is the thickness of the book a huge turn off for light reading lovers, it also invariably adds to the pricing which you can see tends to be on the higher side. For a debut author it is a huge challenge to ensure sales in a price category like this and a topic which is not commercially viable. Detailing - I understand the author wanted to explore an area in her writing but those details about Geology got very boring after a point. Especially where she is trying to describe people, places and things in those technical terms. I was really lost there for a moment as I could barely connect with that terminology. The descriptions became redundant and repetitive without the necessary effect. Language & Editing - Lot of typos, grammatical errors (apart from the length issue mentioned above) are a huge turn off when you are reading a book. Also usage of big, heavy words where it is important is good but there are quite a few places where it looks forced, as if inserted just to create an impact on the reader. Character building - Because it is a huge book with a lot of characters the author should have defined them a bit strongly. They don't come out well enough for me to connect with them and continue holding onto till the end to know their story. There were quite a few places where I got confused and had to keep going back and forth to connect with the names. I completely understand she has tried giving out some very important feedback on our education system through a love story but somewhere the love story didn't warm the cockles of my heart. Maybe I wanted some more emotions in every sense to see and feel what Priya was going through. I have studied in states where ragging was banned, education system was flawless, no intercollege elections were allowed and our teachers the best. Even in terms of opportunities I have been blessed with the best choices. Had I not read about WB political scenario, had friends who work away from their homes because there is dearth of opportunities for them or witnessed it firsthand during my visit there I would perhaps have not been able to place it in current times. I am not saying this doesn't happen. All I am saying is for everyone to understand the gravity of the situation, the language should have been kept simpler both in terms of narrative and descriptions. I would really like to thank the author for sending out mailers talking about a lot of things in the story from the plot to the characters to the logic she applied while writing them. They were extremely helpful for me in terms of connecting with the story for I kept referring to them while reading the book. However unfortunately an average reader might not have access to such details, hence the emphasis on simplicity. Having said all of the above, I would still recommend this book for it is a brave attempt at bringing forth one of the burning issues of our country. This book is like Hing Kachori - something I loved hogging onto in Kolkata and will always remind me of that place. Also because sadly, despite all the flaws this book is as real as it could get on the core issue- education system in WB.